The modern website doesn’t just inform. It engages, updates, converses and surprises. Treat your website like a product and you’ll reach your customers in a whole new way. With a product-centric approach, your online presence becomes a digital experience with content at the heart. And it’s all made possible with content infrastructure. Turning your website into a living, evolving software application with the product-centric approach. The key technology trends and software practices digital leaders are adopting to product cross-functional, agile product teams. "As software takes a central role in modern business models, application delivery capability has become the essential enabler of an organization’s digital business strategy." 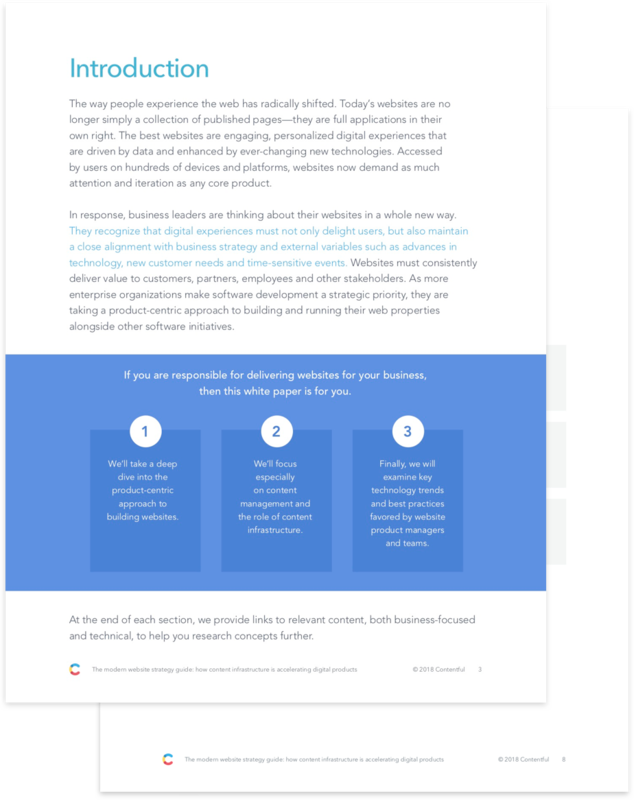 Discover how treating your website like a product helps you reach your customers in a whole new way.